According to Leica Rumors, today is the 100 year anniversary of the birth of 35mm photography. The claim to fame comes from the creation of the very first Leica, the Leitz Camera, by Oscar Barnack 100 years ago today. There are many celebrations and events that will occur throughout 2014 in honor of Mr. Barnack and his achievements in shaping what is today not only Leica cameras and equipment, but a Leica way of thinking and a Leica way of photography. Even without a Leica camera in my hand, I photograph with a Leica way of thinking. So 100 years ago today began the process that has influenced my photography and gives me the ability to display what I see in the world from my point of view through a Leica. In honor of this 100 year event, I will showcase various Leica equipment, either my own or others that I photograph, on my home page. Keep watching as I add images I will create a slideshow. 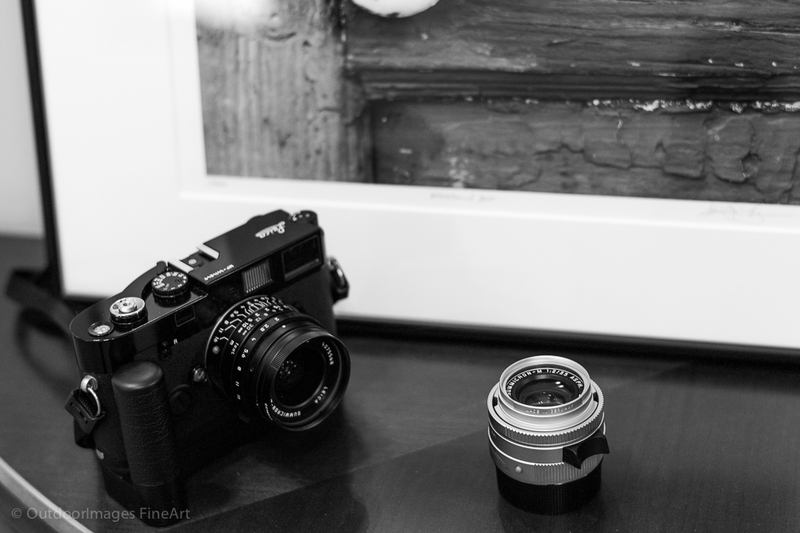 To start my celebration, I have an image of my Leica MP housing a Summicron M 28mm lens, the ASPH and current version. Next to it lays a Summicron M 35mm, also the ASPH and current version in the chromed brass. This is where my hobby, which started in the early 70’s with a box camera using 120 film, was rekindled in 2000. At the time I had a used M-4 with the Summicron 35mm ASPH lens. I used black and white Kodak and Ilford film developing it in my laundry sink and scanning it to Photoshop and later Lightroom 1.0. From my point of view, the simplicity of black and white film and the simplicity of the rangefinder provided me the harmony to photograph what was around me. That feeling, the oneness with my surroundings remains today both in film and digital. Leica film camera with winder and Summicron 28mm, Summicron 35mm lenses. My Leica is Back and Corporate Tax Season is Over!